If one thing is clear, is that Gears of War is perhaps the biggest franchise on Microsoft’s Xbox console, and these games surely have a loyal following. The first three Gears of War games were some of the most popular and best games released for the old Xbox 360 console after all, so it makes sense that the upcoming Gears of War 4 is one of the most eagerly awaited video games of the year. Unlike previous entries, though, this Gears of War game was not developed by Epic Games, but rather by Canadian outfit The Coalition, the team who was behind the PC port of the original Gears of War game released back in 2006. And this game leaves behind old characters like Markus Fenix and Cole, and also features a new enemy to replace the Locust aliens from the earlier Gears of War games. 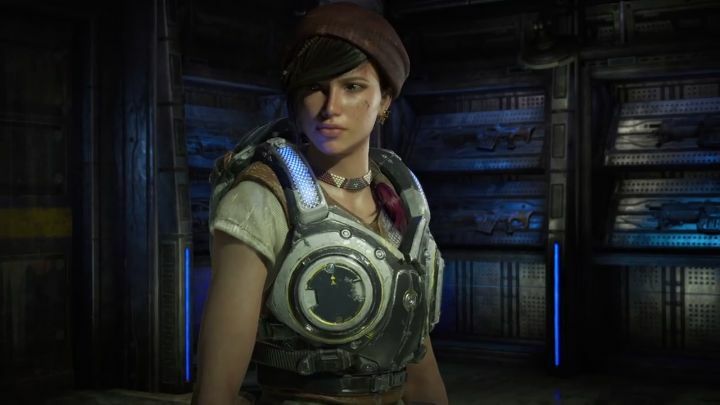 Microsoft has released a launch trailer for the game, which hits the shelves on October 11 (although buyers of the Ultimate Edition of Gears of War 4 got to play the game earlier). This action-packed trailer shows how the alien enemies attack the village of protagonist JD Fenix and his pals Kait and Del, who later join him in the fight to repel the alien invaders from Earth. Judging by this trailer, Gears of War 4 is looking like it could be another solid entry in the series when it ships this fall, and will hopefully offer players the same winning mix of single player action and multiplayer fun that made the earlier games such hits back in the day. Note: Gears of War 4 will be released on October 11, 2016. Available on Xbox One and PC. Next: Will the PS4 Pro offer true 4K graphics?